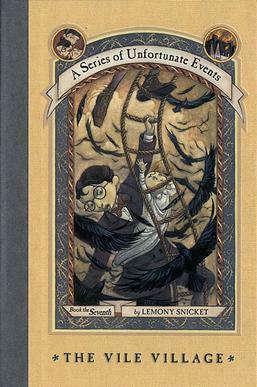 Another tale of the Baudelaires, these books are just so entertaining. Again these books are full of devilish deeds by Count Olaf and surprising twisting turns. The Baudelaires are on the run from Count Olaf. In this book they find themself in a village. In this village they try to uncover who is leaving them notes. They also get framed for a murder by Count Olaf who finds them yet again and have to escape from him again as well as break out of the jail.